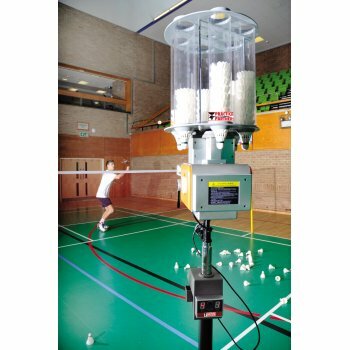 A sophisticated and advanced robot ideal for assisting all players to improve their standard of play. Perfect to use in schools,clubs and by players and coaches at all levels. Simple to use and understand, very robust. East to adjust the service speed, frequency, service loop and style. The service frequency can be varied between 20 - 55 shuttles per minute and the speed of the shuttles between 30-135km/h. 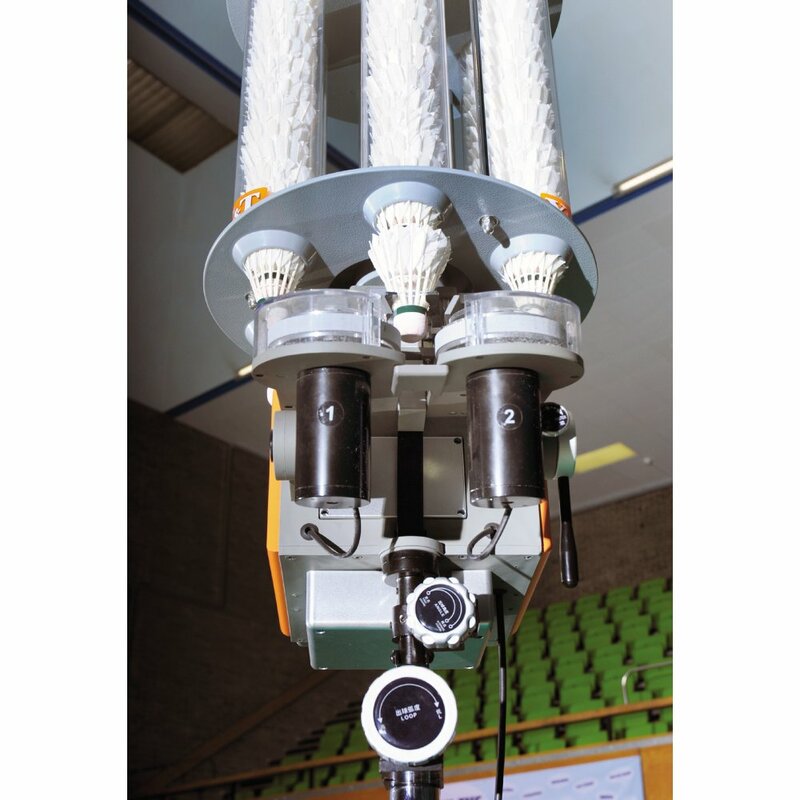 The service loop can be adjusted and change direction in a 40 degree radiance. 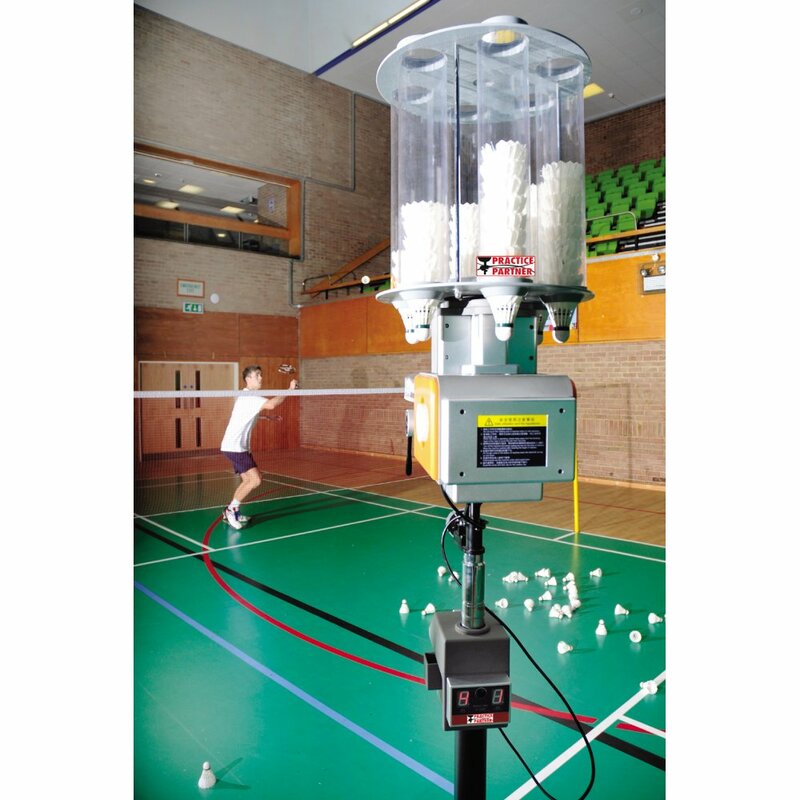 Comes complete with a remote control enabling the coach or player to adjust the speed and frequency whenever required. 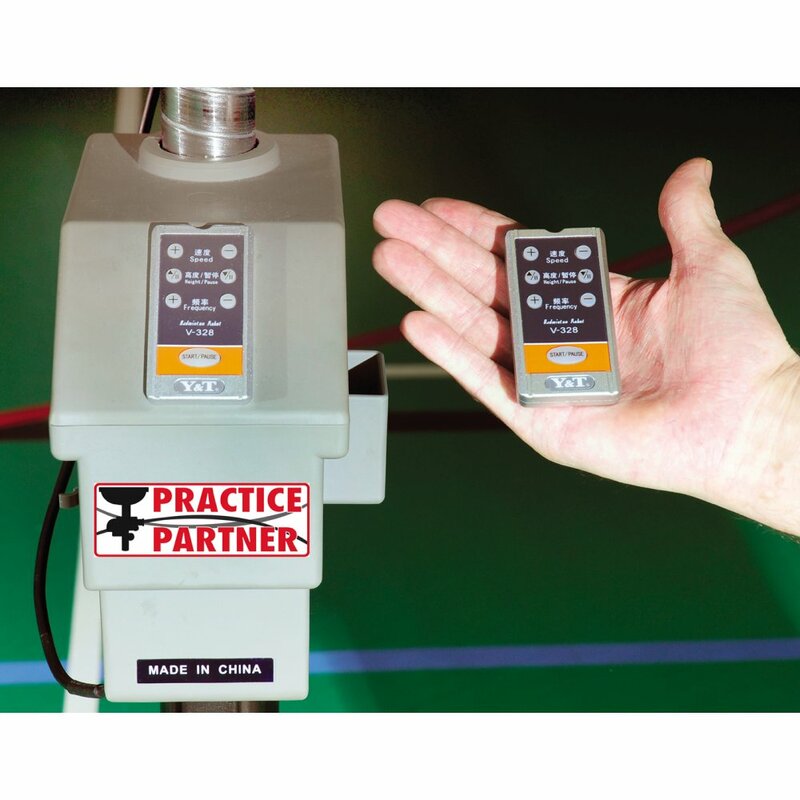 Practice Partner is a relatively new brand to the market which has been developed to cater for the Table Tennis market. The brand consists of a number of different Table Tennis robots which are used for practice and training situations.